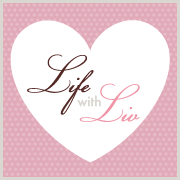 Life with Liv: 50 days of Xmas with Boots - what did I choose? Anyone who knows me knows how much I love Christmas! I love making my lists, decorating the house and spend hours and hours getting the tree just perfect. But the thing I love most is that excited feeling of handing over a beautifully wrapped gift. You excitedly hope that person will love it, and then watching their face as they take in what is inside. I work really hard to try to find the perfect gift for everyone, and I think I usually succeed - or at least I hope! When Boots approached me and asked if I would like to take part in their 50 days of Xmas campaign, I immediately said yes and got to work browsing the Christmas gifts section. As I'm sure most of you do, I buy quite a few gifts from Boots every Christmas so I wasn't surprised to find I quickly had a basket overflowing with possibilities to suit a wide range of people I buy gifts for. After spending a loooong time narrowing down my choices, here is what I chose! Firstly I was very happy to tick off my Husbands Godmother, she has several health issues so treat food/drinks/smellies are out of the question unfortunately. She does however seriously love her tea so I was pleasantly surprised to find her lovely gift first! 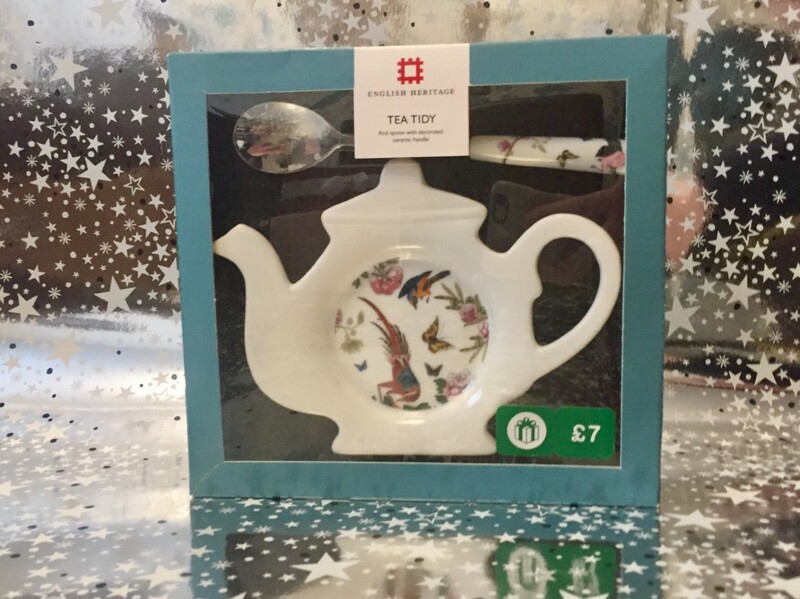 How lovely is this English Heritage tea tidy set? Containing a beautifully decorated ceramic tea tidy in the shape of a tea pot with a matching ceramic handled stainless steel spoon, it is perfect for a tea lover, and who doesn't love tea? Priced at £7 and available in the 3 for 2 offer. 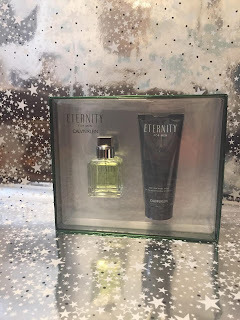 Next I headed to the Christmas gifts for him section where I chose this lovely Eternity gift set for my Husband, containing a 30ml bottle of eau de toilette and 100ml body wash.
As this is his all time favourite aftershave, so I try to find different combinations to gift just to keep it a bit more interesting for him - and to stop him guessing what it is as soon as he sees it! 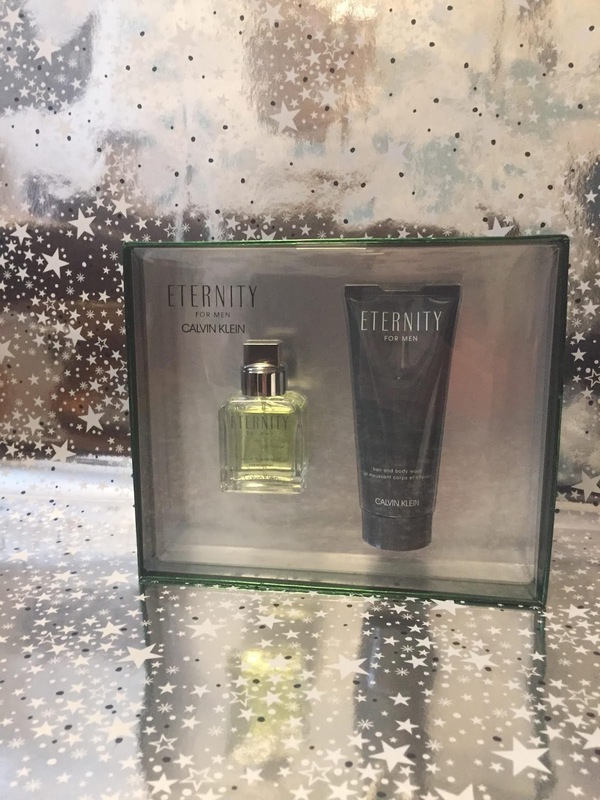 I always find the smell lasts longer when combined with a body wash or lotion and of course it looks better in a gift box - not to mention easier to wrap! I know he will love finding this under the tree. With my Mum being the hardest person to buy for, I always try to get her ticked off as soon as possible. While scrolling the Boots website I found one gift in particular that she will love. 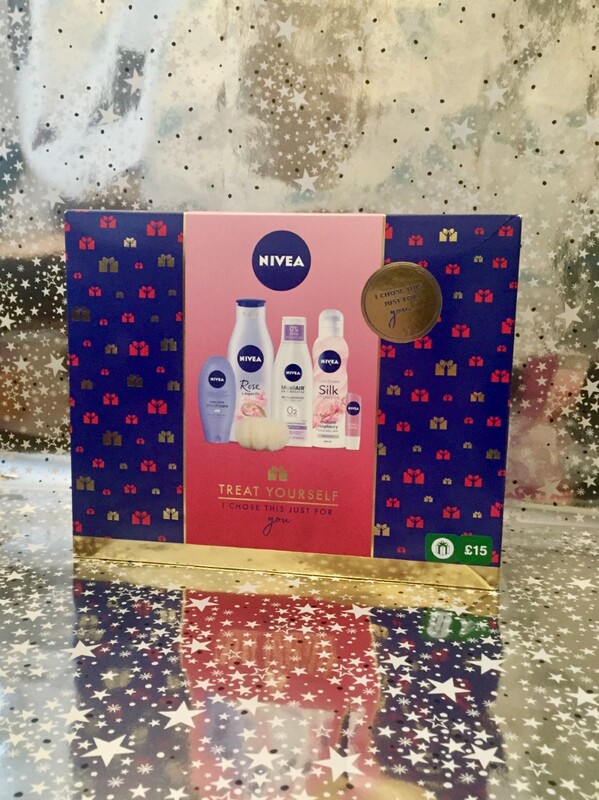 This Nivea treat yourself gift set contains a 75ml hand cream, MicellAir water sensitive make up remover 200ml, Rose and Argan oil lotion 200ml, Rhubarb and raspberry shower silk mousse 200ml, Pearly shine lip balm 4.8g and 1 shower puff. All packed away nicely in a lovely festive box. 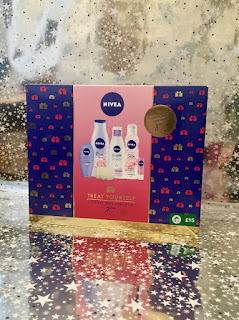 Even with her sensitive skin, I know she is safe with these Nivea treats, another one that's easy to wrap too. Priced at £15 and available in the 3 for 2 offer. Any regular readers will know Liv is a huge My Little Pony fan so I couldn't resist these super cute gift sets I found. 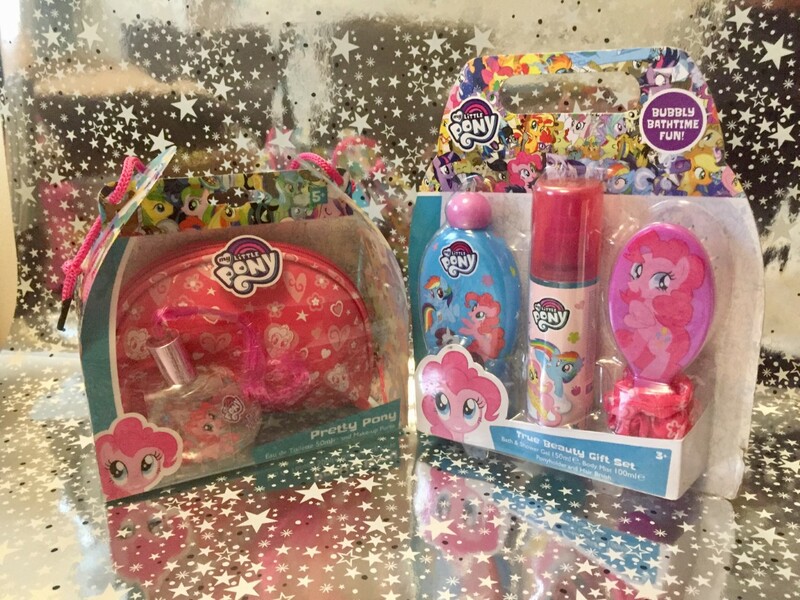 On the left is the My Little Pony 50ml Eau De Toilette and cosmetic bag. I know Liv will love this Pinkie Pie perfume with adorable pink ponytail! 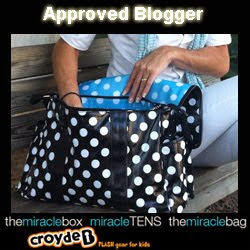 The bag will be very handy to keep her hair bits and pieces in too so also a Mummy win! Priced at £10 and available in the 3 for 2 offer. 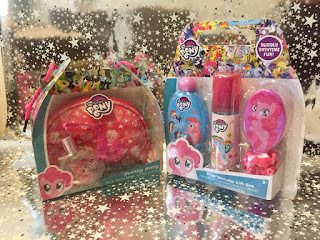 On the right is the second set I bought, the My Little Pony true beauty bath and shower gel gift set, containing a 150ml bath & shower gel, 100ml body mist, Pinkie Pie hair brush and pink hair scrunchy - I may have to borrow this and take a trip down 90's memory lane, so many scrunchies! Liv loves nothing more than a lovely bubble bath and will no doubt use these Christmas morning. Both would be perfect for any little ones that are also My Little Pony lovers. Priced at £8 and available in the 3 for 2 offer. After all this shopping for everyone else I decided to treat myself to a little something too! 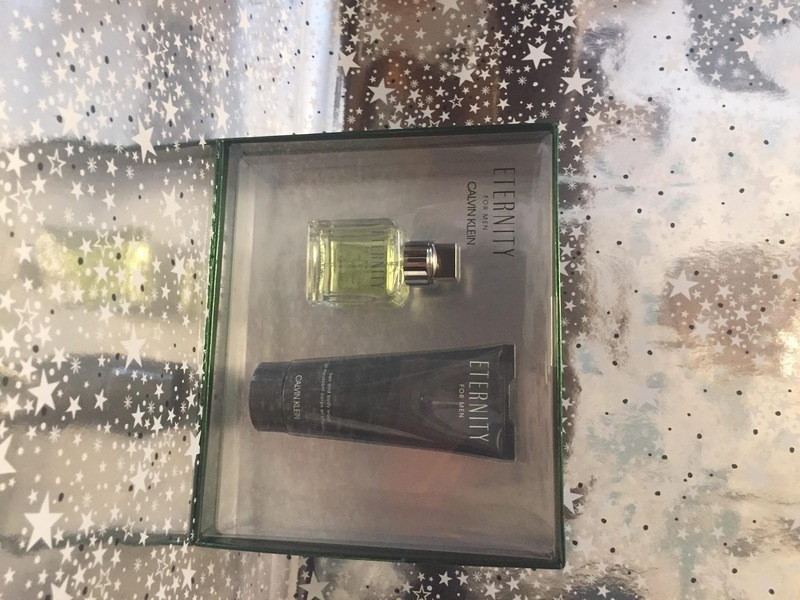 After receiving a Ted Baker body spray last year, I couldn't resist trying the other scents when I spotted this Ted Baker floral fancies mini body spray trio gift set, containing 3 x 50ml scents. I knew I loved the white one and couldn't wait to smell the others, I am happy to report that I was not disappointed! Priced at £9 and available in the 3 for 2 offer. So those are my choices, what do you think? I hope they have given you some inspiration. 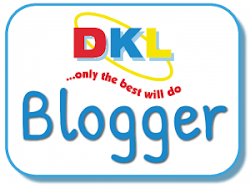 *Disclaimer: while all products where kindly provided by Boots all opinion and thoughts are my own.